This topic contains 0 replies, has 1 voice, and was last updated by IDrinkAndIKnowThings 1 year ago. 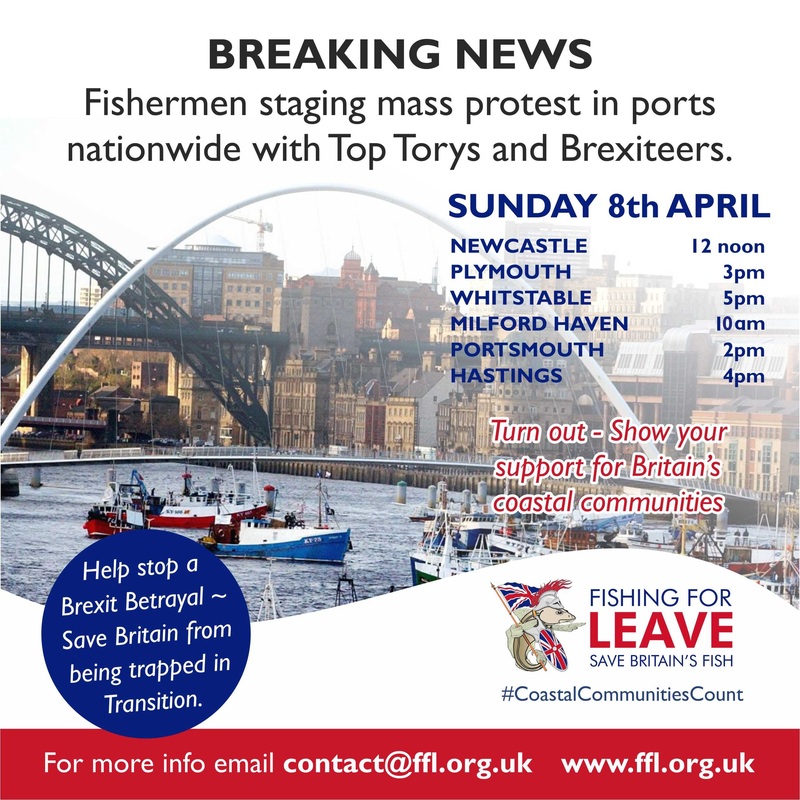 The sellout of our fisheries has prompted FFL to organise demos at various ports on Sunday. It is another sellout amongst the others to prevent us leaving. Support the fishermen and the leave campaign. This topic was modified 1 year ago by IDrinkAndIKnowThings.